I have recently become a tiny bit lazy with my “from scratch” cooking.. I have been buying a lot of SW ready meals or throwing together quick and easy meals. But tonight this needed to change so I worked hard on this amazing Chicken Jambalaya recipe. 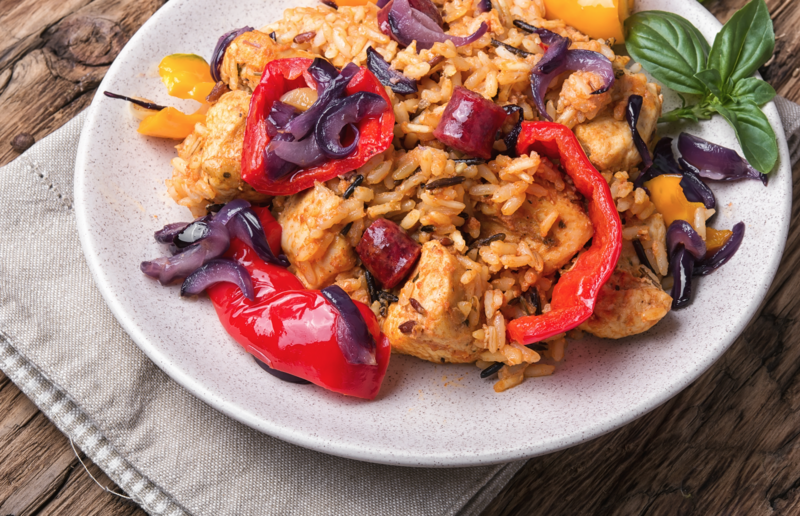 Jambalaya is one of the easiest and best rice dishes which adds a little cajun spice. This traditional American recipe is a pretty impressive way to show off Syn free cooking to friends and family. If you fancy spicing things up a bit feel free to swap Slimming World sausages for chorizo but remember to Syn these. 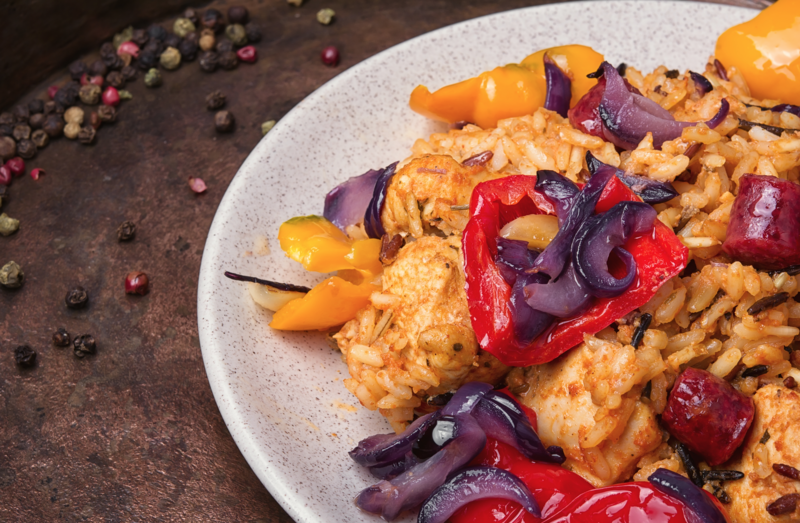 Finely dice onion, dice chicken, and chop peppers into large chunks. Spritz a pan with a little Frylight and add the sausages. Cook on a medium heat turning often until you are able to slice into small chunks. Add the diced chicken and onion to the pan. Cook on a medium heat until slightly browned. Add peppers, Thyme, lemon zest, Cajun seasoning and chopped tomatoes. Cover with a lid, and simmer slowly for 5 minutes. Meanwhile make chicken stock and add this to the pan along with the rice. Cover with lid and simmer on a medium heat for 20 minutes stirring occasionally. Remove the lid and simmer for a further 5 – 10 minutes or until the rice is softened and all of the liquid is reduced. Simmer for longer to reduce any liquid. Remove from the heat, stir in the lemon juice and a seasoning of salt and pepper. Can chicken breast be used instead..?